Each week on Mingtiandi we track who among China’s commercial real estate community has left their role, been promoted, or decided to tell their boss that they are headed off early for Chinese New Year and run out the door, never to return. Grant Kelley is now the head of Singaporean developer City Developments Ltd, after previously serving as Head of Asia Pacific & Partner – Real Estate with private equity firm Apollo Global Management in Hong Kong. Singapore-listed City Developments is the owner of the Millennium and Copthorne Hotel chain, as well as holding a number of other residential and commercial assets. Edward Farrelly has headed back to Spain to take over as National Director of Business Development – CBRE España. Farrelly’s previous role was Senior Director, Head of Research Hong Kong, Taiwan & Macau at CBRE, based in Hong Kong. With his proficiency at reporting on reindeer races and other phenomena, Edward should be destined for great things in Espana. James Shepherd has joined real estate consultancy Cushman & Wakefield as the firm’s new Head of Research for Greater China, based in Shanghai. 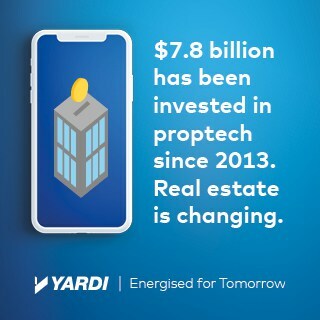 Mr Shepherd has 15 years experience in the Asia Pacific real estate industry, and prior to joining Cushman & Wakefield, held director-level positions at Ernst & Young, Colliers International and Knight Frank. Irwin Wang is now Retail Director with Knight Frank in Shanghai. In 12 years consulting on retail real estate projects Wang has advised clients including Raffles City, Waitanyuan, Shanghai Tower, Kerry Properties and Brilliance Group. 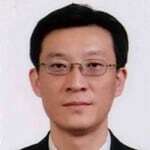 Felix Liu has joined China’s ecommerce revolution as a Property Investment Expert with Alibaba.com based in Hangzhou. Liu’s previous role was Manager in the Valuation and Advisory department with CBRE in Shanghai, where he was involved in property and asset valuation, financial analysis, and new staff training. David Still has left his position as Senior Negotiator with the Retail Services department at CBRE in Shanghai, and relocated back to the US. Still is one of a large number of international staffers to leave the real estate consultancy’s eastern China operations in recent months as the company struggles with ongoing management turnover. Stephanie Liang has left her role as Leasing Manager with GTLand’s Winter Mall project to head overseas for further study. Liang is now enrolled in the Master’s of Business Administration course with Hertfordshire University’s program in Malaysia. Prior to working with GTLand Liang was a Senior Leasing Associate with Savills in Shanghai.